To get me back into the swing of building, I present a couple pictures of my new project, the Shelly Class ship from the Deep Space Nine era. Sorry for the bad quality of the pics, but my scanner seems to be having some trauma. Going by the more popular name, the Curry Class (as seen on DS9) had the inflated nacelle design of the Constitution. Thinking this as rather odd from the engineering standpoint, I’m using the existing Excelsior nacelles for my Shelly Class. 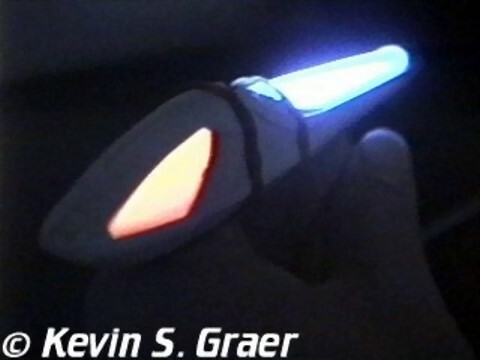 Hey, different nacelles, different class! 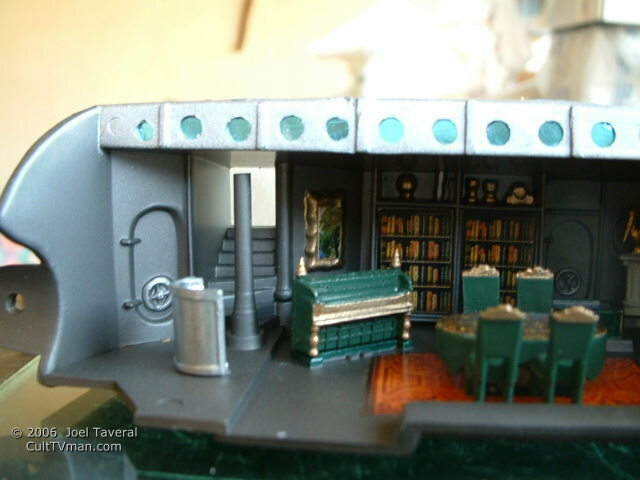 The neck & saucer area have received the usual putty job. 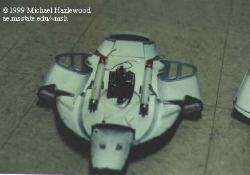 And you can also see where I have Zap’d the struts to the saucer. I angled the struts so that the bottom of the “L” is horizontal & parallel with the saucer’s bottom edge. 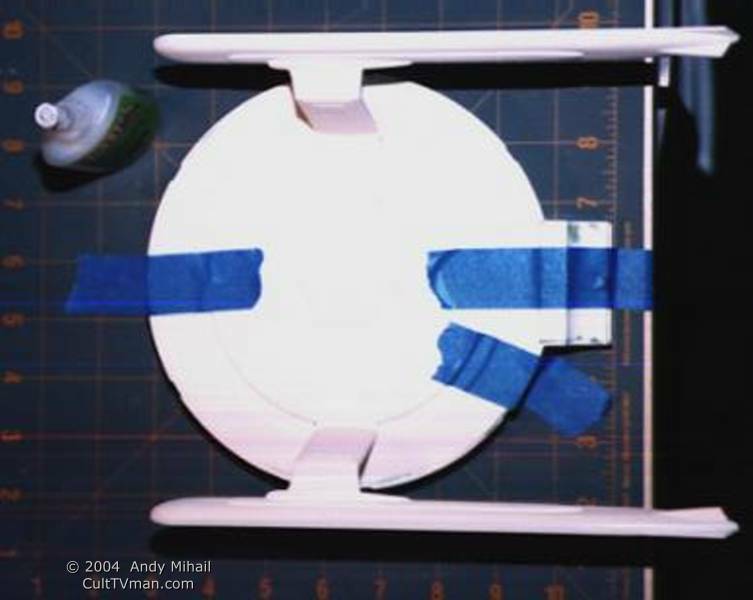 And to make sure I had them on straight, I taped the saucer to my cutting mat (using the impulse engines as a guide), used a triangle & lined up the nacelles along the measuring lines on the mat. They glued on nice & straight! 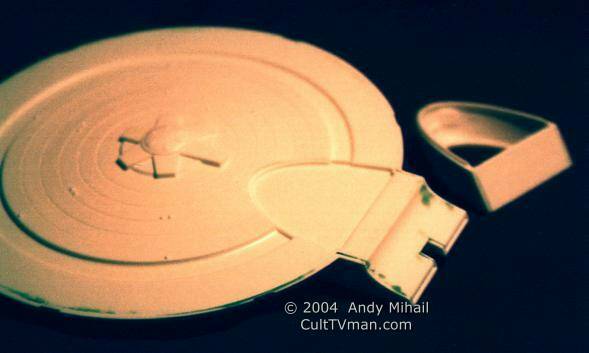 I got the Excelsior model off of eBay & it had all it’s parts but one- the deflector dish scoop. Solution? Thank goodness for kids, as I used the scoop from my daughter’s old medicine measuring spoon. I cut off the handle & volia! It fit rather well! The other side of the picture shows my solution of the neck area. Since few pictures of the Shelly class exist that clearly show the neck area, I had to be creative. I lined up the neck to where it should be, but then noticed it was hanging over the tapered sides. 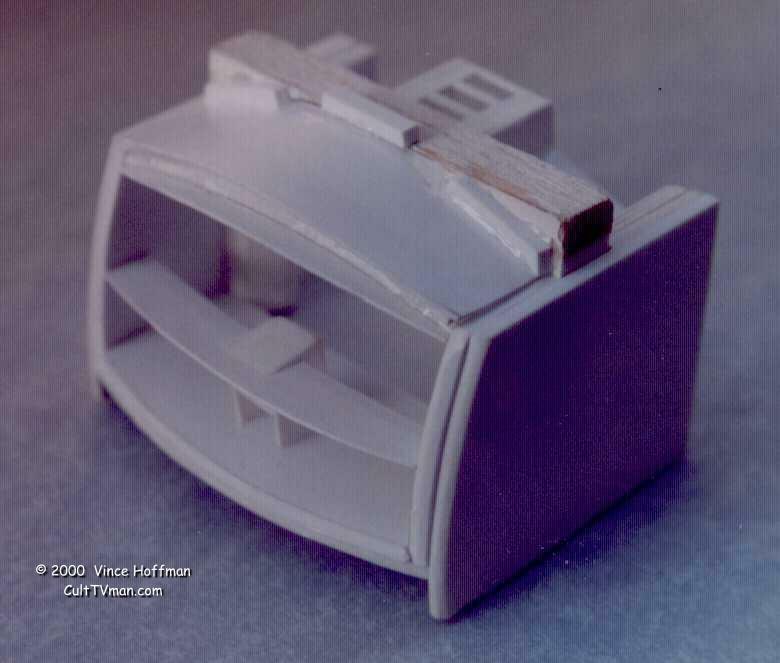 Instead of triming the neck, I extended it down the hull by adding successive layers of sheet styrene. This shot shows the layers before trimming. 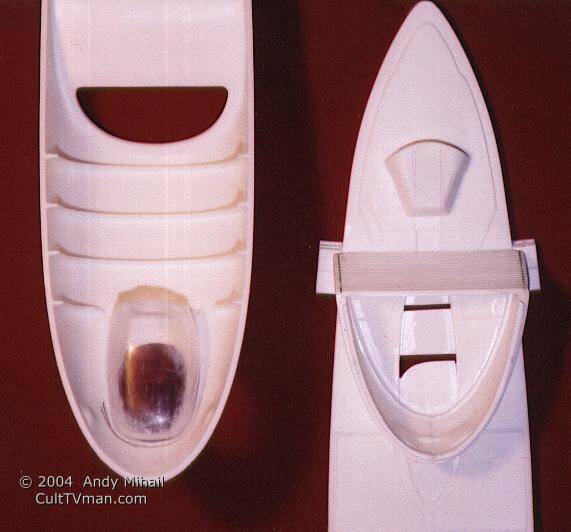 I also “filled in the holes” that were left by the removal of the oval nacelle strut area & the indentation for where the neck should have been placed.